I remembered how much we discussed who the co-presenters will be. After three episodes, we concluded that it is important to use CODE’s staff working on Follow The Money, as they are in-tune with happenings within the community. With learnings from the School of Data radio, I had to start a documentation for the program which became a living document for Follow The Money Radio with presenters, the producers, the social media crew amplifying what happens during the radio program. Many thanks to Cele Nwa Baby (Operations Manager at CODE) and Baba Bee (Programs Manager at CODE) who took out time to compliment Big Mo on making stories of communities engaging their sub-national government to air on radio, and making sure responses were gotten on such stories. In one of the episodes, the presenters instructed: “honourable Yaya Bauchi from Gombe, we are calling on you to commence the rehabilitation of the primary school at Tongo 2, we already know it’s a constituency project”. Two weeks later, the headmaster of the school joined the radio program to affirm that the rehabilitation of the school as actually commenced. Honourable Yaya Bauchi is the present house of representative member representing Tongo in the National Assembly, and it was confirmed that the renovation of the school was included in a constituency project proposed by him. Another intriguing story was that of the Primary school in Gengle, Adamawa state where hundreds of children learn under a dilapidated building. Three weeks after it aired on the radio program, the communities in Gengle joined the show to inform that the government visited their school, and they offered to start rehabilitation. So, what next for Follow The Money Radio? “You have all done well in bringing this to the radio; I think you should take this program to the state as well” advised one of our listeners during the last episode. As parts of messages gotten during the program, we have received emails from two other radio stations, who wanted to rebroadcast the show. Unfortunately, they are all in Abuja. 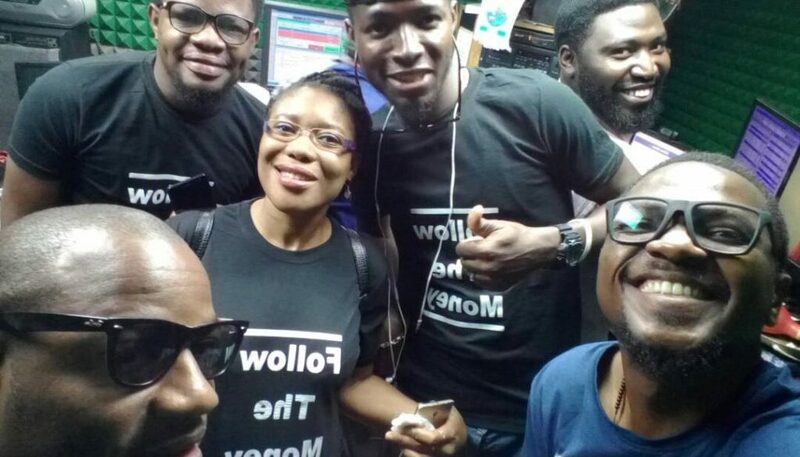 Going forward, we are planning to initiate Follow The Money radio in the states, as such if you are a running a radio station in the state, or you are an OAP passionate about good governance, let’s get more voice amplified on your radio station, and feel free to contact us by joining our largest community on governance in Africa at http://ifollowthemoney.org or via info@connecteddevelopment.org. In the meantime, the Follow The Money Radio will be coming to you in the next quarter, join us at http://ifollowthemoney.org to get information on where it will be airing. Please stay tuned!